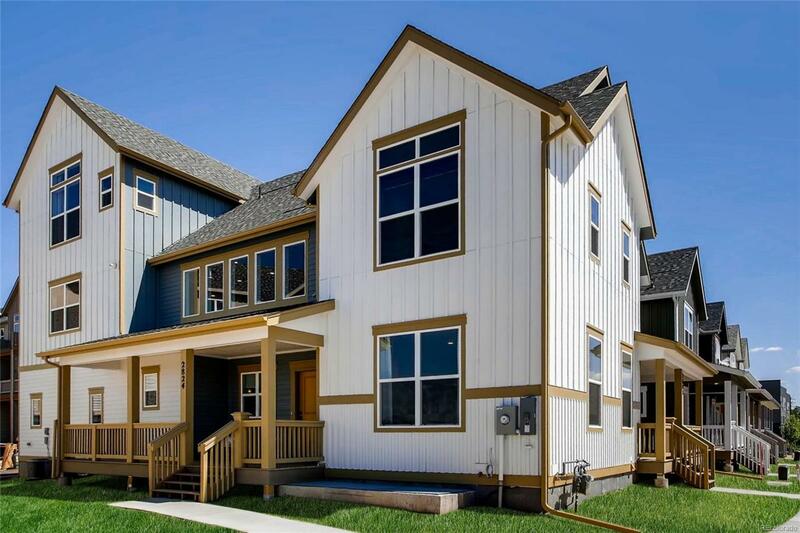 This brand new duplex is ready for a June 2019 move in! Unit includes upgraded cabinets and full plank flooring in common areas. Amazing location in the Iron Works Village community. Centrally located in Englewood near light rail and all of the shops, restaurants and bars that South Broadway has to offer. This modern floor plan includes a large open kitchen and living area, two bedrooms upstairs with a full bathroom, large second floor loft, beautiful private master retreat on the third floor, attached two car garage, and a huge covered front porch. Upstairs laundry, a/c , tankless hot water and much more! Pictures are conceptual only, not of actual home and subject to change. Upgrades may vary. Come and take a look at our beautiful model home with the same floor plan!